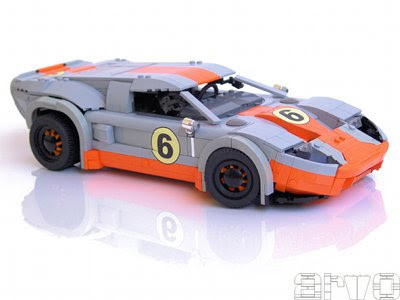 The Arvo brothers have created a new cult car, the Ford GT Le Mans. The result speaks for it self. Looking at the pictures I have the impression that it is in fact created with glue and and there is modelling clay inside. In short, it looks good. With Google Street View we can easily get to places around the world in seconds. 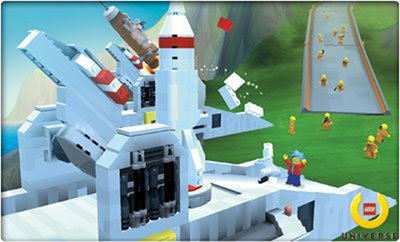 Since a few days they have also added Legoland California, so if you have never been there here is your chance. Push the button and drag the mouse to look around and follow the paths. Another post without Technic... 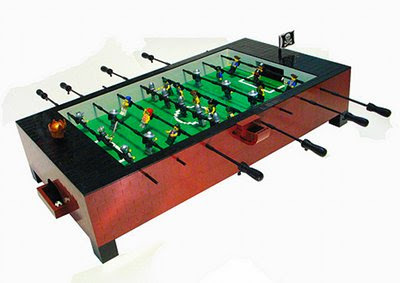 In my defense let me say that foosball is one of my favorite activities. It could not be better than on this table created by Billy McDill where pirates play against knights Lego Castle. 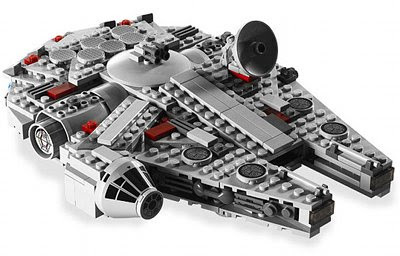 The studio and producer Dan Lin have acquired the rights from the Lego company to create a family movie about Lego. It seems that they are planning a movie similar to Toy Story mixing real and animated elements. The target audience is children but of course the plan is to make it enjoyable by adults as well. Nagy Abonyi Attila has created this wonderful 8265 Wheel Loader modification. As a result the loader is now fully motorized and can be controlled with an IR remote. 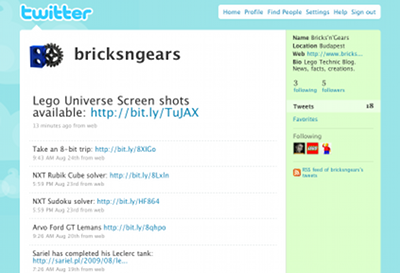 The loader was also mentioned on TechnicBRICKs, congratulations! More pics in Attila's BrickShelf folder.